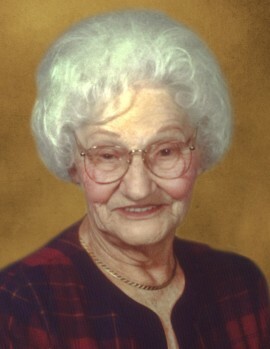 Elizabeth “Betty” Slaboszewski (nee Chromek), age 107, passed away on Tuesday, February 05, 2019. Born July 8, 1911 and a lifelong Joliet resident. Elizabeth is survived by her four children, Donald (Rita), John Slaboszewski, Diane (Bill) Madigan and Michael Conforti (Celeste) of NC; seven grandchildren, Denise Boudreau, Kathy (Steve) Scent, Don (Kris) Slaboszewski, Debbie (Tim) Walsh, David (Peggi) Slaboszewski, Pam (Bob) Reichenbach and Dan (Barbara) Sheridan; 12 great-grandchildren, Don III, Dan (Irene), Nicholas and Michael Slaboszewski, Brian, Kevin and Patrick Walsh, Laura Blaskey, Rebecca (Jim) Fritz, Jeremy and James Sheridan and Robert (Nicole) Lausch; four great-great-grandchildren; numerous nieces and nephews; and special friend and sister-in-law, Terry Guenther of Joliet. Preceded in death by her parents, John and Theresa Chromek; her husband, John E. Slaboszewski (2008); son Eugene (2008) (Sandy 1980) and their twin babies, Jacqueline and Eugene (1957); brother, John Chromek; sisters, Ann Kaminski of Chicago and Marie Richards of Lockport; and great-granddaughter in infancy, Erin Walsh of Chicago. 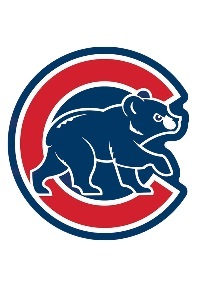 Betty enjoyed traveling, reading, playing bingo, cooking, baking and watching the Chicago Cubs. She was also a member of the Senior Citizens Association. The family would especially like to thank the staff of Sunny Hill for the devoted care, exceptional kindness and love shown to Elizabeth during her time as a resident as well as Joliet Area Community Hospice. Elizabeth will be truly missed by her entire family. She was a loving mother, grandmother and friend to all of us. A celebration of Elizabeth’s life will begin on Saturday, February 9, 2019 with prayers in the funeral home chapel at 9:20 a.m. then driving in procession to Holy Cross Catholic Church in Joliet for a Mass of Christian Burial to be held at 10:00 a.m. Interment to follow at Holy Cross Cemetery. Visitation will be on Friday, February 8, 2019 at Tezak Funeral Home, 1211 Plainfield Road, Joliet from 3:00 p.m. to 8:00 p.m.